Cornbread is a great accompaniment to many meals. I truly enjoy a really good cornbread, no matter how it’s made…in a loaf, muffins or a cast iron skillet. It’s the Southern girl in me. Recently I had a friend over and served these muffins as a side with main salad. The week 18 recipe for the 52 Week New Recipe Challenge comes from the Once Upon a Chef blog. 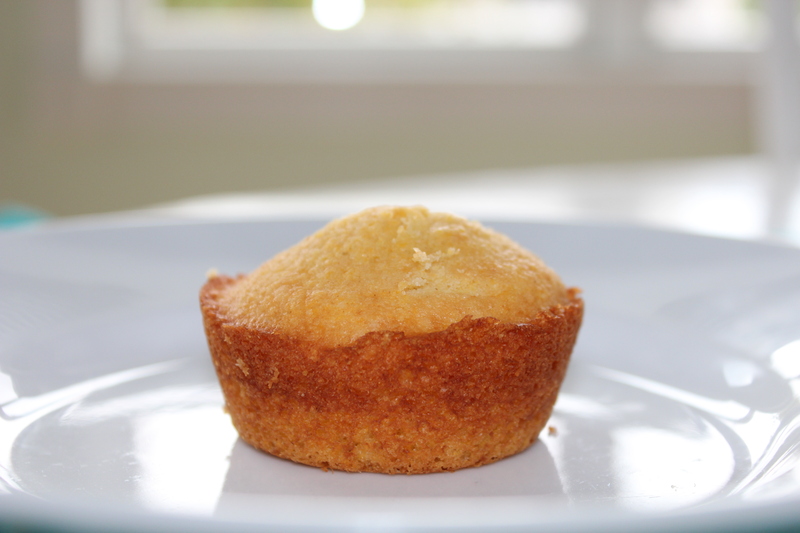 They were the perfect texture and, by not using paper muffin liners, they get a crispy edge. Reheating them is easy. In the oven is best. I just put them on a baking sheet and reheated in a 350 degree F. oven for about 8 minutes. The edge was crispier after reheating. Serve these muffins with fried chicken, an entree salad, salisbury steak, soups, chili or any comfort food. This entry was posted in 52 Week Challenge, Comfort Food, Muffins, Pot Luck, Side Dishes, Soups and tagged 52 week challenge, chili, Comfort Food, Cornbread Muffins, cornmeal, fried chicken, pot luck, side dish, soups. Bookmark the permalink.